LOL!! That title just popped into my mind in a split second. Well, so far February has been a good month to me. I decided to share some love. Let me tell you how I am going to do it. 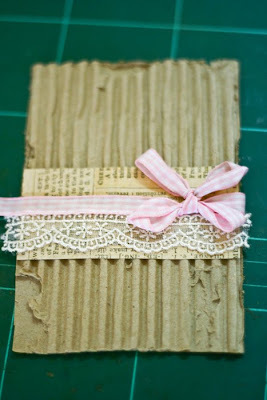 First I am going to show you a shabby chic card tutorial (well at least it is"shabby chic" to me... LOL!) 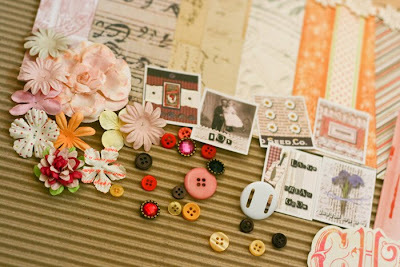 & I have also prepared a Shabby Chic + a little vintage RAK (again... at least they are to me... LOL!!). 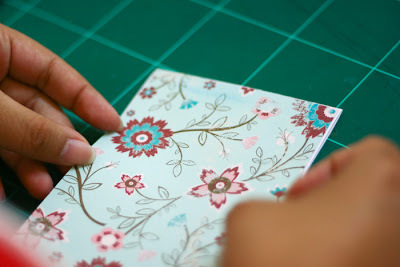 Cut the patterned paper, just slightly smaller than the white cardstock and paste it. This will be your base. Next, get the Prima flower and spray it with mist. Leave it to dry. This is how it will look like. I just sprayed mine lightly for a subtle look. 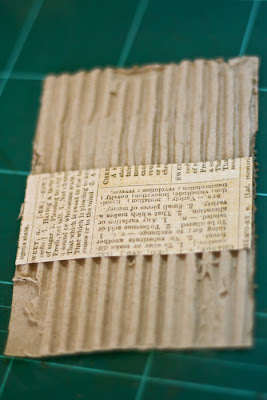 Next, gently tear the corrugated paper for a distress look. 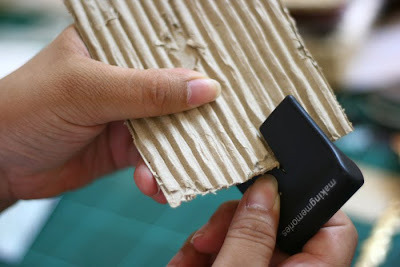 Use a distresser/scissors for the edges. 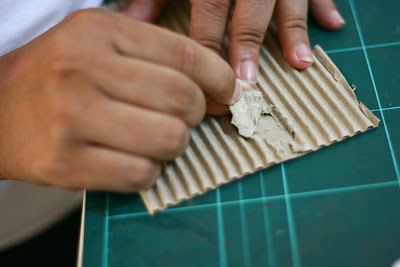 Once you are happy with how the corrugated paper look like, paste a tiny piece of another patterned paper with wordings. You can opt for old music sheet/dictionary/story book pages. The possibilites are endless. 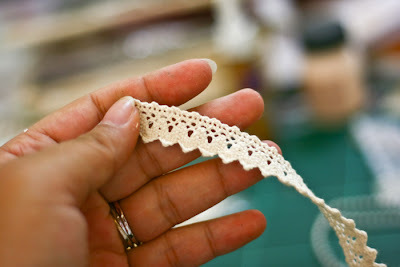 Then, paste a lace on top of the patterned paper. 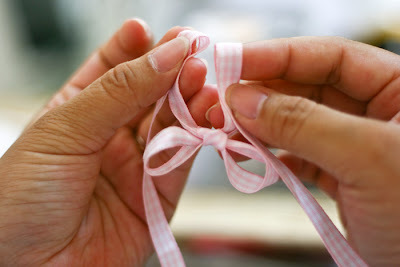 Now, we will work on the ribbon. You might want to work with a longer ribbon for this. This is really simple. First, tie a bow. Flip it over and tie another bow. Simple huh? This is how it will look like. Put it aside. 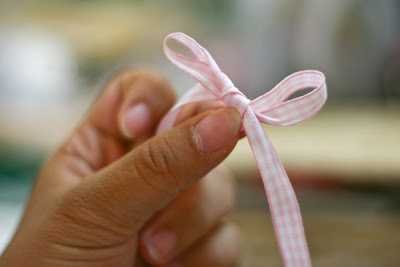 Ok, paste the ribbon just slightly above the lace. I tucked the excess at the back of the corrugated paper. Since the challenge requires at least five hearts, I used my gold heart ribbon. 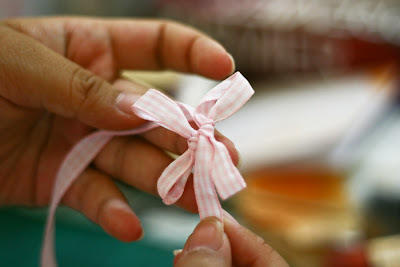 I heart that ribbon alot!! It's actually puffy in the middle, how cute! 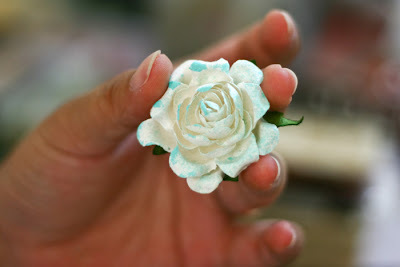 Once you are done, you can paste the turqouise Prima flower onto the pink ribbon. Next, you might want to have a lace with holes in between. I got the idea after I saw Jing Jing's post on her published work in CK. She was being featured for having a pretty ribbon technique. You can read more HERE. You are pretty done by now. 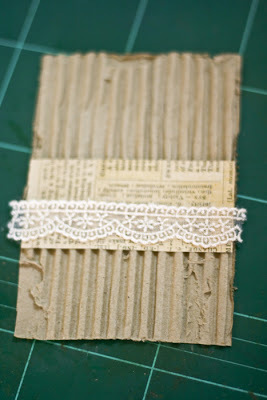 Just stick the lace trim onto the card. 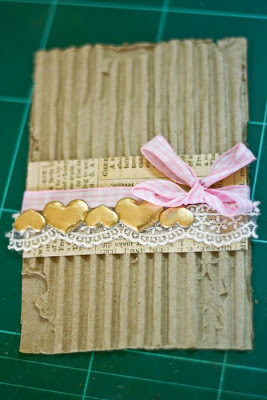 Further decorate your card with embellishments. 1. All you have to do is to leave a comment in this blog post. 2. Mr.Handsome will pick a winner by March 15th, 2010 (of course Malaysian time). 3. It's open to everyone!! Near or far you are welcome to comment. Hee hee I'm the first! I do promise to do a shout out for you Jessy! I told you I would do it ages ago I know but life my side has got a bit outta hand lately...What can I tell you that you don;t already know?! You are a great teacher, a natural creative & so much more! You put the fun back into scrapping & I would luuuuuuuuuuurve to win the RAK of course!!! As I am going down through this wonderful tutorial, I am thinking.....WOW! This would so fit the Mission Create Challenge.....I'm gonna lift it....LOL.It is great! Love everything you did.Great giveaway too. That card is absolutely beautiful ! I will definitely be making some of those ! Wow Jessy awesome tutorial and RAK!! Your work has always inspired me and I sure will be making this card. Beautiful. Sounds like Mr Handsome is very kind to you! So nice to see! Would I ever love to receive a RAK from Malaysia!! So exciting!! Oh wow, Jessy, your work is amazing! 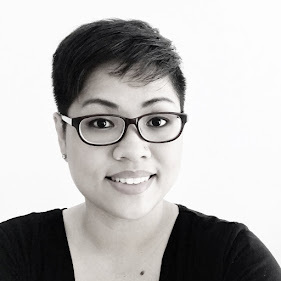 I don't know how I've missed your blog before now! I am definately adding you to my favorites! 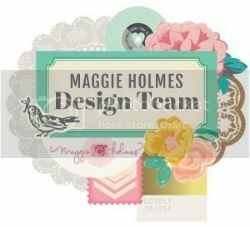 I just love this style, but can never seem to pull it off... your tutorial is wonderful & I am definately going to try it again!! Thank you for sharing your inspiration!! 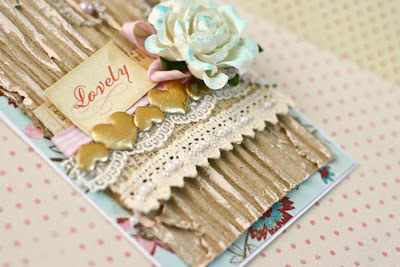 Love that awesome tutorial and the card is totally fantastic!!!! Beautiful job as always Jessy! I just love your style! Looking forward to more inspiring tutorials! Wow Jessy! This card is amazing. The RAK is fantastic too! You do some wonderful things!! 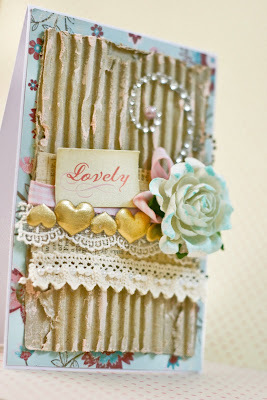 Looks very shabby chic to me - love the card, and great tutorial! what a sweetheart you are to offer up such a great RAK! Beautiful project! You know I never thought till today how fun this would be for a girl scout project...and its would be recycling a bonus! thanks! Wow!! What a great Tutorial! !Your card is really wonderful....awesome that you were able to use all the components of the MC challenge!! 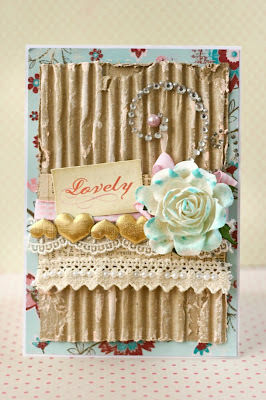 love your tutorial and the card you created..so pretty!! Thanks for playing along at Mission Create!! Wow love your card Jessy! Sorry that I haven't checked in lately. Things are kind of crazy, but so glad that I checked in today and found this wonderful card. Your work is amazing. Love your style and would love to create like you. The rak is so beautiful and thanks for a chance to win. Thanks sweetie. Hope your Valentines Day was great. Your camera looks so cool. I am so jealous. You have been so blessed with such a great hubby. Have a great week! Love your card!! thanks for doing Deb's double this week!!! It is amazing!!! wow!! your card is FABULOUS. i love evrything that you did. i especially like how you did the bow...i'm going to have to use one of those soon! 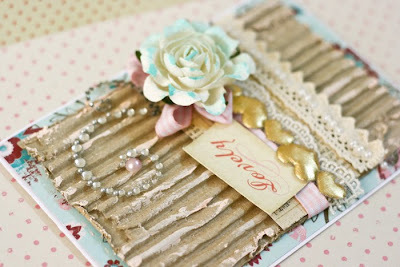 Girl, you have a way with shabby chic style of scrapping and card making! your RAK is gorgeous darling!! I spy some music sheet! love! That is one cool tutorial!! 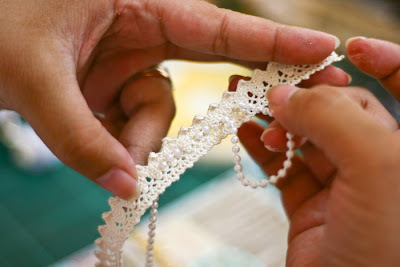 I love the idea of stringing the pearls over the lace. Beautiful!! Gosh this is so fun Jessy !!! tfs!!! what a lovely card there!!! Totally awesome!! Both the card and the rak! That is one of prettiest cards I have ever seen. Thanks so much for the awesome tutorial too. Love all the goodies you have set up for a RAK too. You rock! wow!! that's a beautiful card!! great tutorial and RAK too! thanks! Hope to catch up with you soon... sometime in March? First time I visit your blog, I just followed you link in Deborah's Mission 0010 Part Deux Challenge. Love your work! The card is yummy! Wow! Great tutorial babe!! 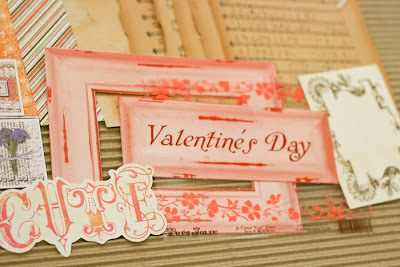 Love your shabby chic card!! 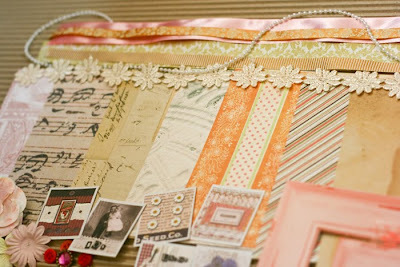 Ahhhh...the vintage RAK is wgorgeous... all the papers and trims!!! 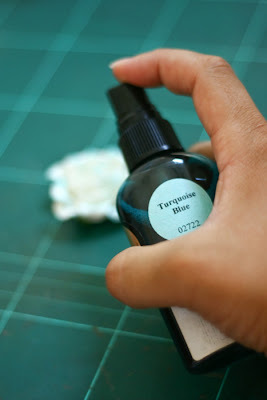 Hello - found you via Helen Tilbury - what a gorgeous blog you have. You are so creative and love the detail. Would so LOVe the rak - need to get my mojo back! Love all the vintage goodies. Was an awesome RAK. I've put a pic and link in the sidebar of my blog. Thanx for a chance at it, Jessy. Oh my Jessy. This card is beautiful. 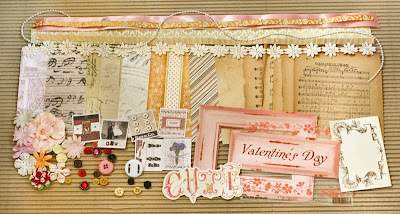 And this RAK would be perfect for me to scrap my 1st Valentine's as a wife. Special Shout out to your Hubby, Eric. It is great to see a husband so supportive of his wife's passion. Thumbs up!